Those lucky musicians at the BRIT Awards next week. Not content with the opportunity to play in front of thousands of adoring fans or being nominated for one of the prestigious gongs, they also get to add to their timepiece collection – including the ladies too. Here at Elysium Magazine we can think of no discerning gent, with an eye for horological style, who doesn’t like to increase his watch collection. 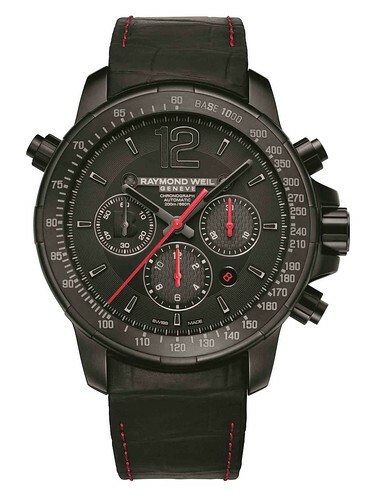 The watch we’re fussing over is the new Raymond Weil BRIT Award Limited Edition. It’ll be given to all nominees, winners and performers at the BRIT Awards on Wednesday 19th February 2014 in celebration of making it onto the awards shortlist or performing live. There are few things better than being gifted a stunning timepiece in recognition for your labours. This Raymond Weil timepiece features a sleek bold 46mm black PVD hard coated titanium case with a black dial with date and chronograph functions. The self-winding mechanism provides a 46-hour power reserve – perfect for the rock star parties lasting days and nights. A unique touch is the watermarked ‘B’ taken from the BRIT Awards logo set within the left sub dial. 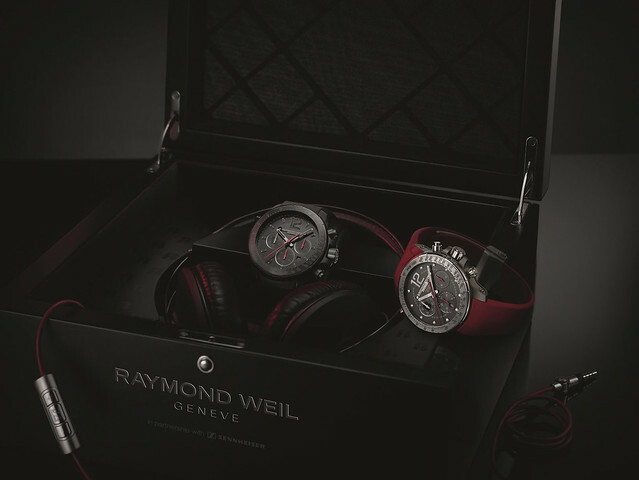 To highlight the musical theme Raymond Weil has teamed up with sound experts Sennheiser for a watch and headphone combination unlikely to be found elsewhere – all housed in a smart gift box. You’re probably thinking this is one of life’s unobtainable objects seeing as though your BRIT nomination or invitation to perform at the showpiece event isn’t likely to turn up anytime soon. The good news is this exclusive timepiece is available to buy at WatchShop for £3,995.